Book Afshin Molavi as a keynote speaker with VBQ Speakers. Afshin is one of the world's foremost commentators on global geopolitical risk and the role of emerging markets in the 21st century. A highly original thinker, he combines detailed analysis of economics, politics and technology to create a rich picture of the key trends re-shaping our world. Afshin is one of the world's foremost commentators on global geopolitical risk and the role of emerging markets in the 21st century. A highly original thinker, he combines detailed analysis of economics, politics and technology to create a rich picture of the key trends re-shaping our world. He is co-founder of emerge85, an ambitious project that aims to document the shift of power towards Asia, Africa and Latin America, which together hold 85% of the world's population. 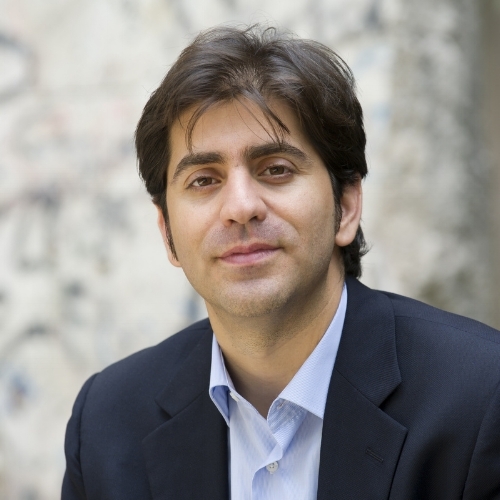 Afshin is also Senior Fellow at the Johns Hopkins School Of Advanced International Studies, where he writes on themes such as the "New Silk Road", South-South trade, emerging market multi-nationals and the new generation of global hub cities. Previously, he was Director of the World Economic Roundtable at the New America Foundation, which aimed to re-map the global economic landscape in the wake of the Great Recession. He is a prolific commentator in top-quality publications such as the Washington Post, Foreign Policy and Financial Times, as well as on broadcast media such as CNN, the BBC, CNBC and Al Arabiya. In a world of unprecedented complexity and rapid change, it is crucial for businesses to cut through the noise and identify the key trends that are transforming the global landscape - and the risks and opportunities they present. Afshin helps audiences do just that. Drawing on a vast amount of research and travel, he shows how forces such as the rise of emerging markets, the growth of a new middle class, rapid urbanisation and unprecedented technological connectivity, will be the drivers of the 21st century. He is superb as a keynoter, panellist or moderator. Afshin analyses the implications of President Trump's decision on the nuclear deal with Iran (2017). Afshin explains how the "New Silk Road" has been becoming a reality, and analyses President Xi's Belt And Road initiative (2017). Afshin explains the growing strategic cooperation between China and the UAE (2017).